Jürgen Graf, a Swiss citizen, was born in 1951 in Basel, Switzerland. He has a university degree in Scandinavian studies, French, and English. Graf became a revisionist in 1991 and has written numerous books and articles about the "Holocaust" subject. Together with Carlo Mattogno, he authored detailed studies about the Majdanek, Stutthof, and Treblinka camps. The book Sobibor. Myth and Reality, written by Graf, Thomas Kues and Carlo Mattogno, appeared in 2010. In 1998 a Swiss court sentenced Graf to 15 months in prison and a fine of about 40.000 Swiss francs for his revisionist writings. 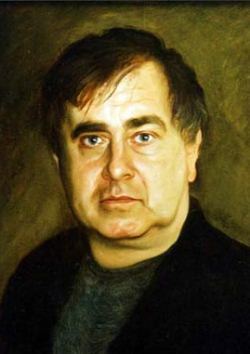 After the supreme court of his country had confirmed the sentence in 2000, Graf went into exile. Since 2001 he has been married to Belorussian historian Olga Stepanowna.